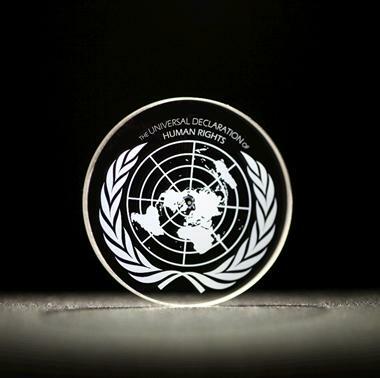 A nano-structured glass disc can store 5-dimensional digital data for billions of years, researchers at the University of Southampton said. 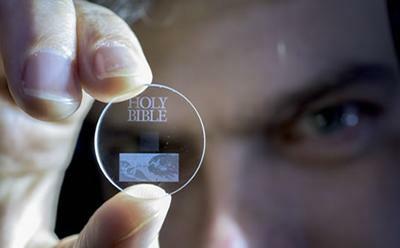 The digital data, inscribed on the glass with laser, has a projected shelf-life of 13.9 billion years at temperatures of 374 degrees or lower, and can store as much as 360 terabytes on a single disc. This technology can secure the last evidence of our civilization: all we’ve learned will not be forgotten. Digital copies of important documents could now outlast the human race, the researchers said. 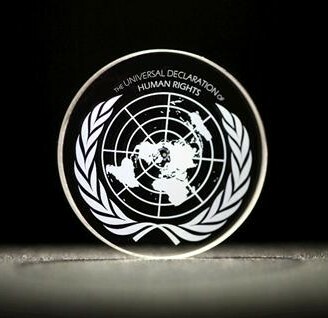 Earlier this month, the research center produced a disc that had a copy of the Universal Declaration of Human Rights at the United Nations. Light patterns are encoded onto the nano-structured glass, which modifies the polarization of the light. The data can be read through the use of a optical microscope and a polarizer. Five-dimensional data was first proven possible in an experiment in 2013, with the inscription of a 300kb text document. The technology has been recommended for the storage of libraries and entire national archives, and the researchers are looking to turn it into a commercial product.